presentation and check the personal equipment. 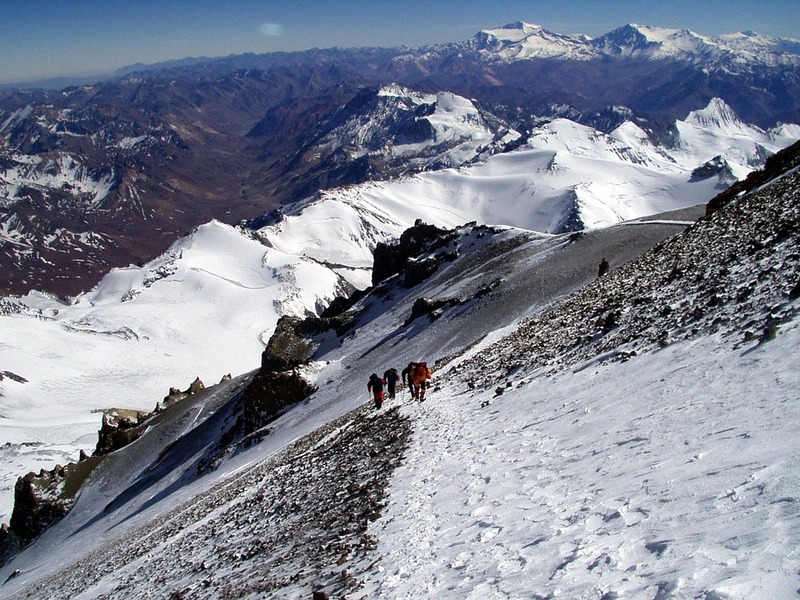 This will be the first trekking day and you will also have the first snow and ice encounter. 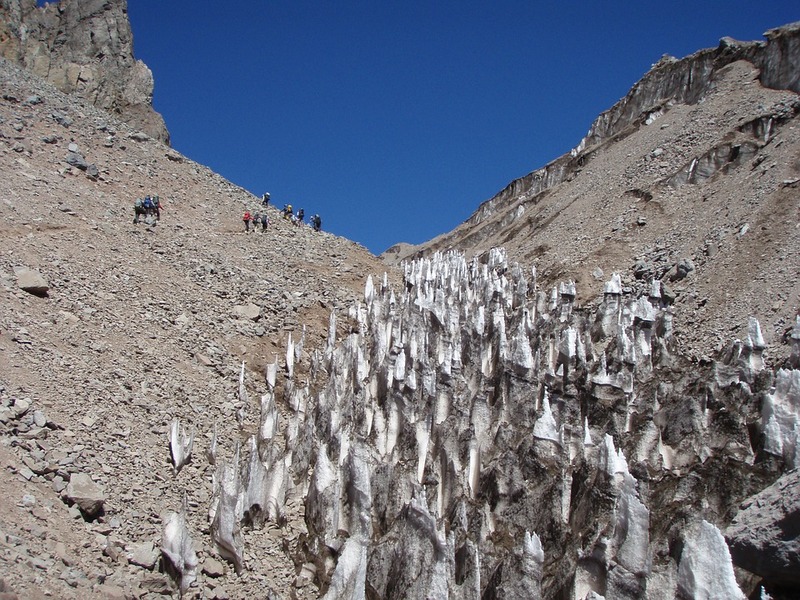 We’ll set up a third camp at 5100m at the very glacier itself (Marmolejo glacier). head back to base camp. From base camp, we'll head right back to Santiago. On this day the climber is free to visit Santiago and rest. and drive by nigth to Mendoza. to Penitentes village to spend the night at 3200m. the body into critical conditions and thus have optimal chances of success. We’ll start the approach towards Plaza de Mulas where we’ll set up the base camp. We’ll stay there for a couple of days. This day we trek to Nido de Condores camp, and stay there. not from the Nido de Cóndores camp. 1.000mts upwards which can be overpass after 10 to 12 hours hike. hours walk to the park entrance, where will be waiting our transport. The itinerary described above is a guideline. Be aware that some changes might be done during the expedition due to weather issues. 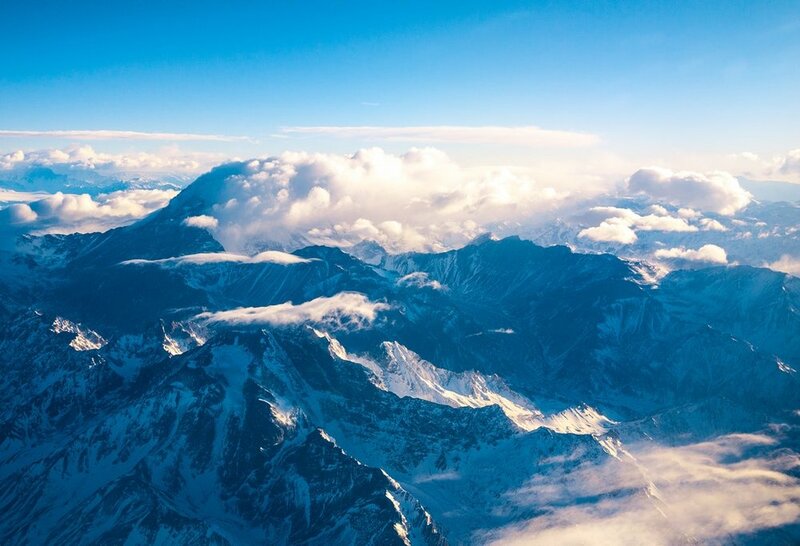 If the expedition is compromised due to a weather condition like snow storms with intense cold, or to an acclimatization difficulty from one of the members of the expedition, the chief-guide has the obligation to modify or even abort the whole expedition program if needed. (fully) cooperate with the guide, since any wrong or “too-late” decision might be fatal. 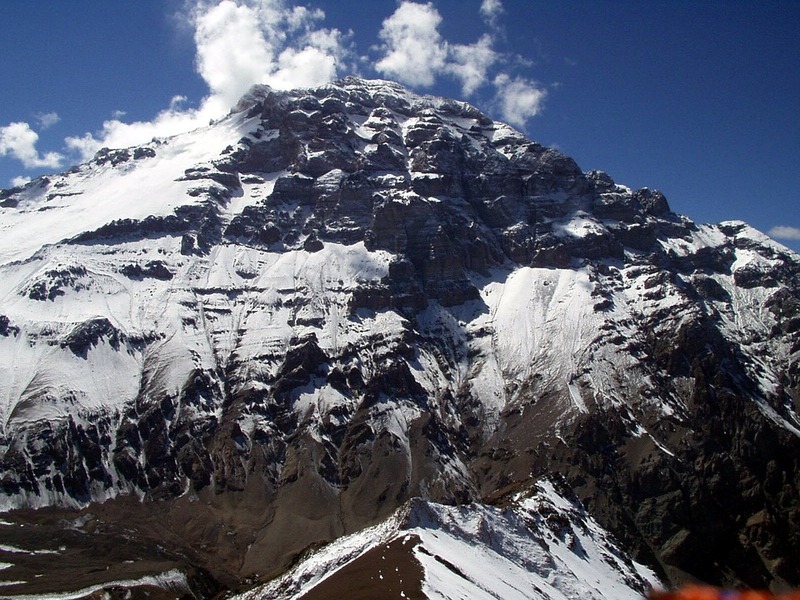 with a minimum of 2 and maximum of 09 climbers + guides.